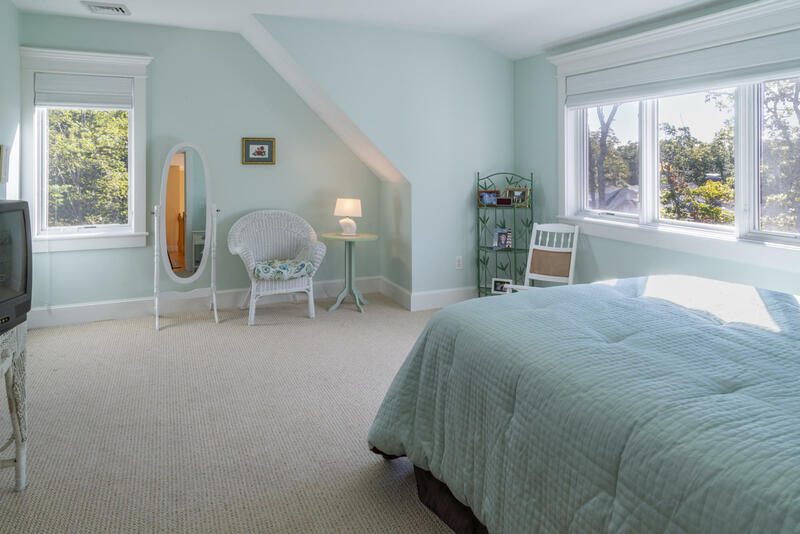 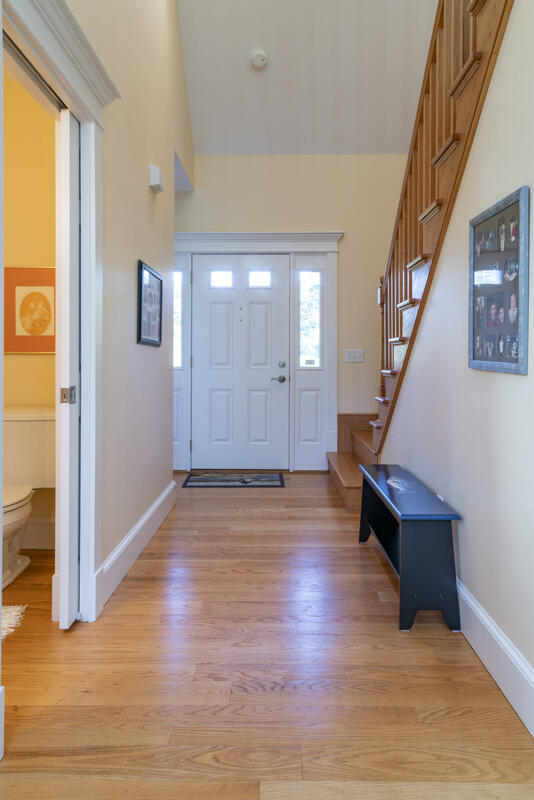 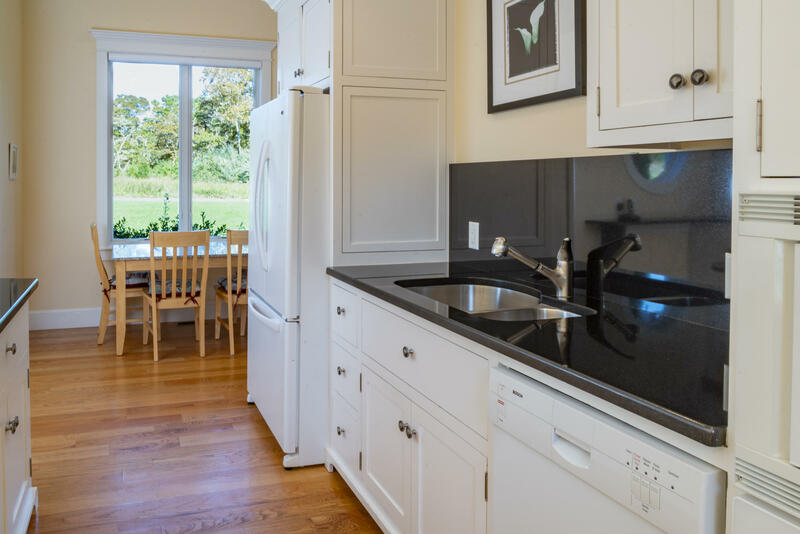 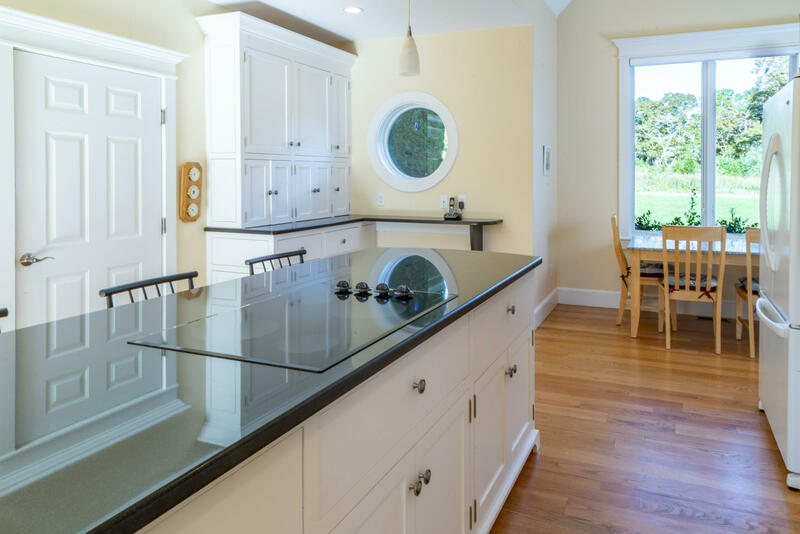 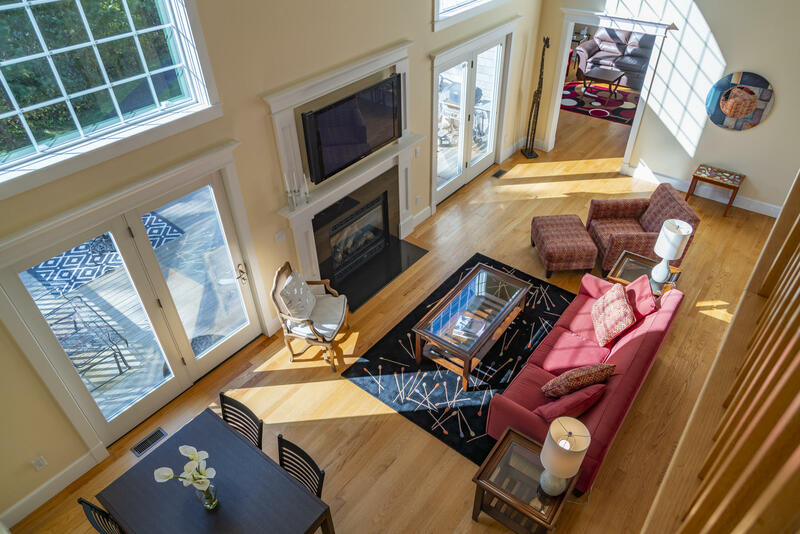 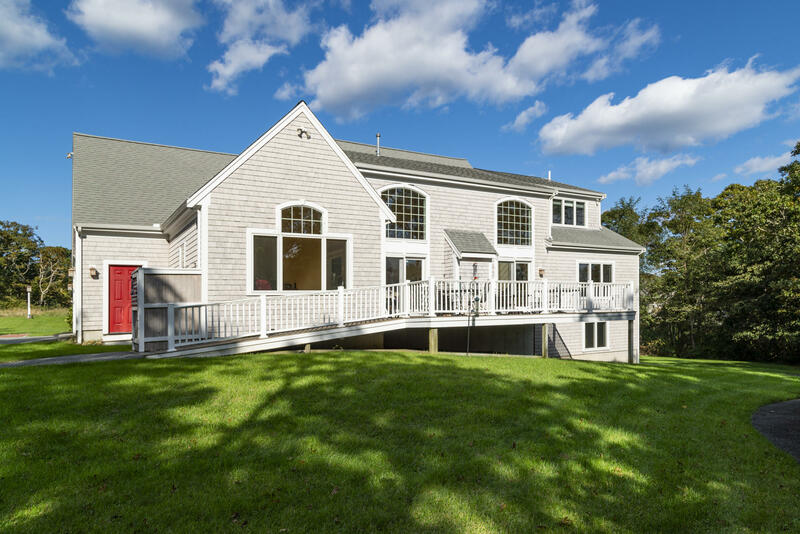 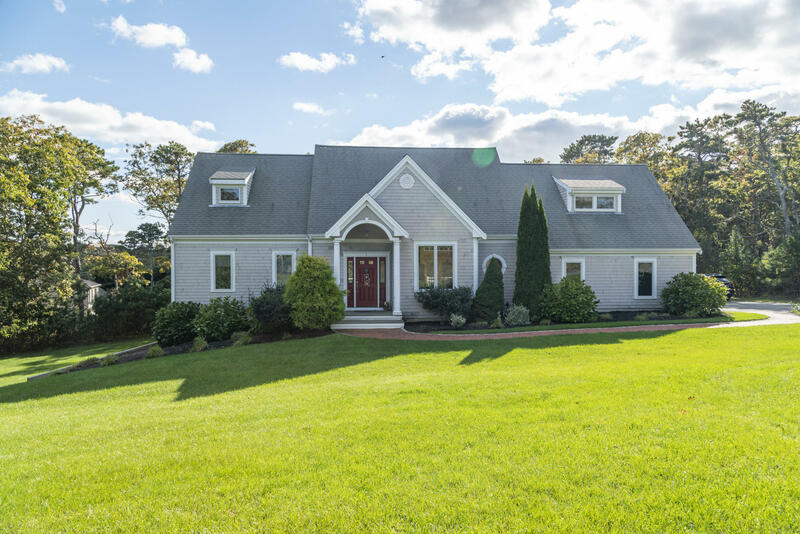 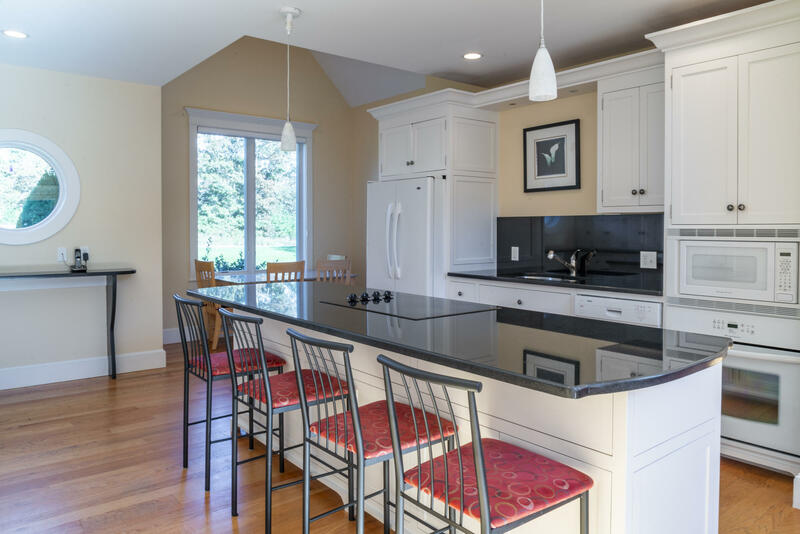 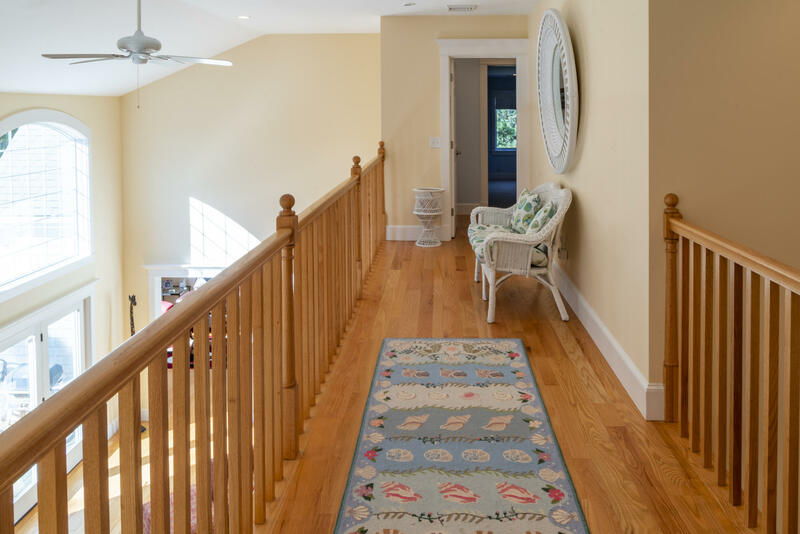 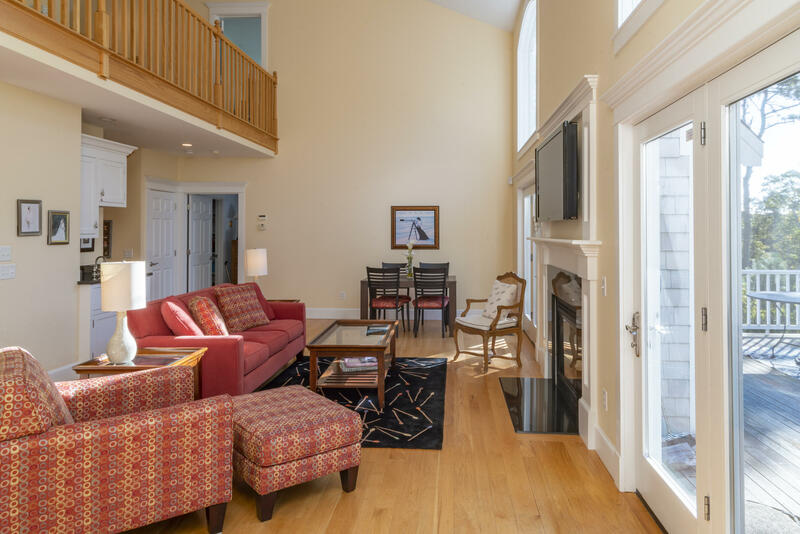 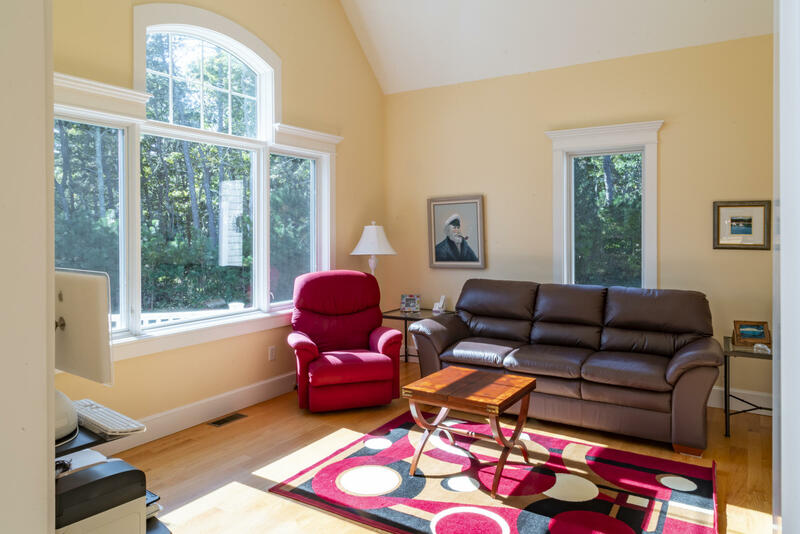 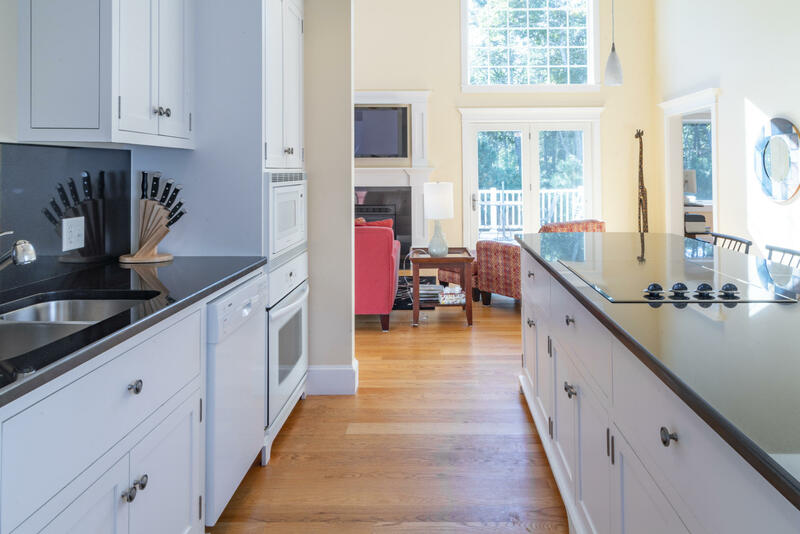 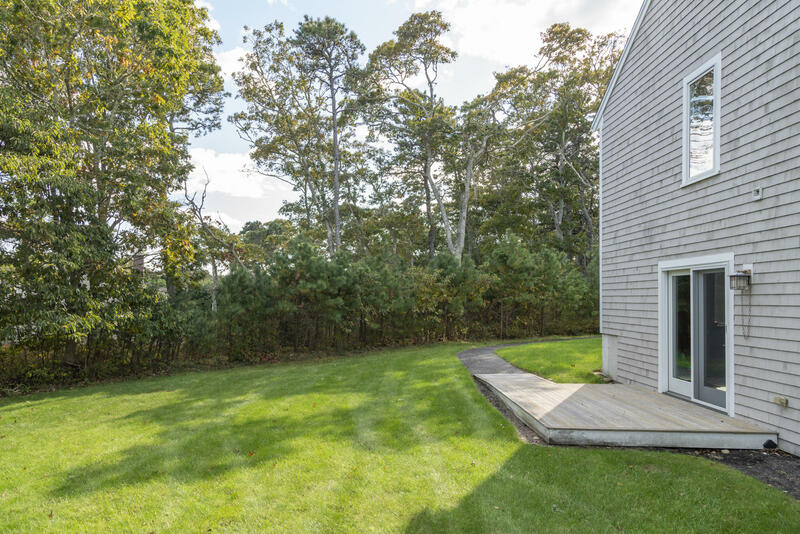 Impeccable East Harwich home just a short drive to Pleasant Bay, and 3 renowned golf courses. 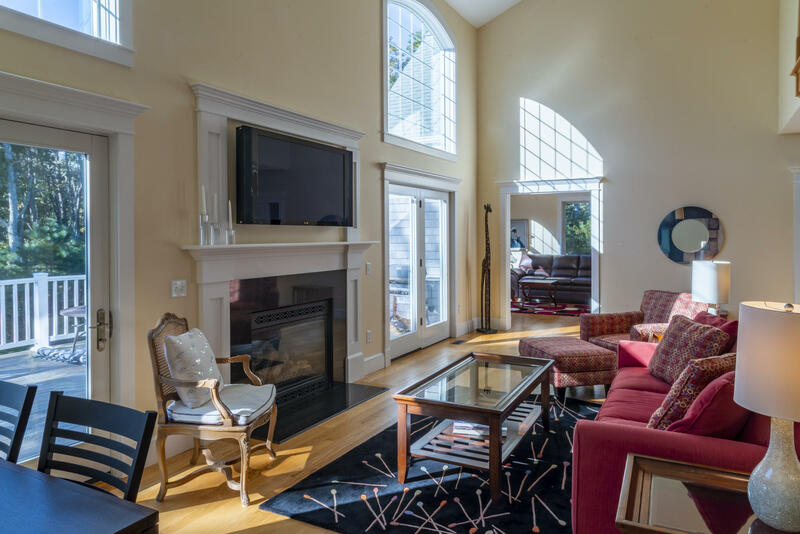 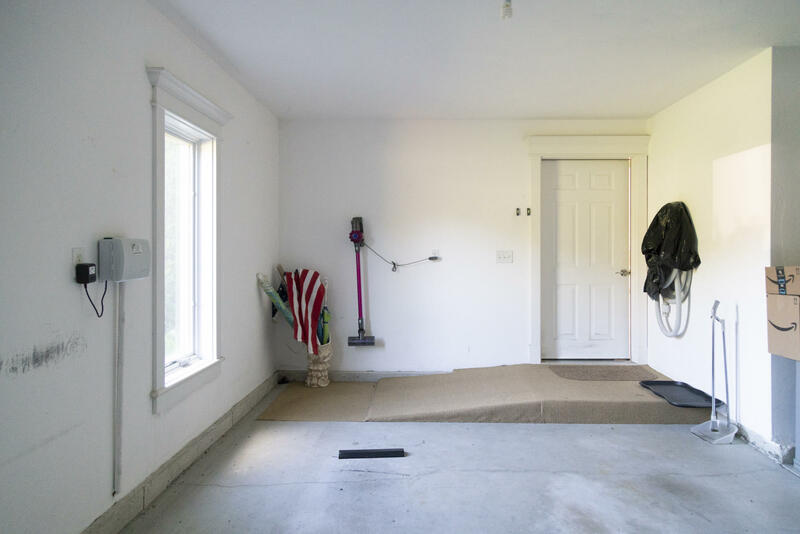 Situated on a quiet side street this 2,600 sf. 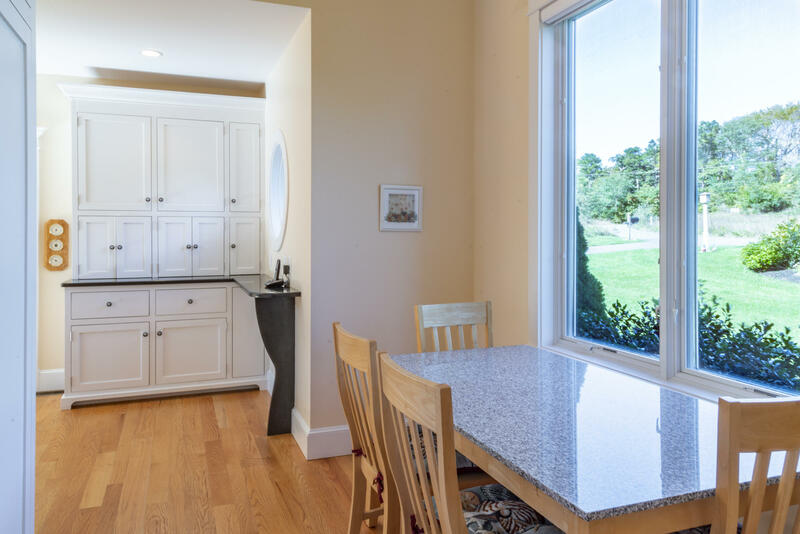 home takes full advantage of the southerly exposure along the back with gorgeous windows and sliding glass doors. 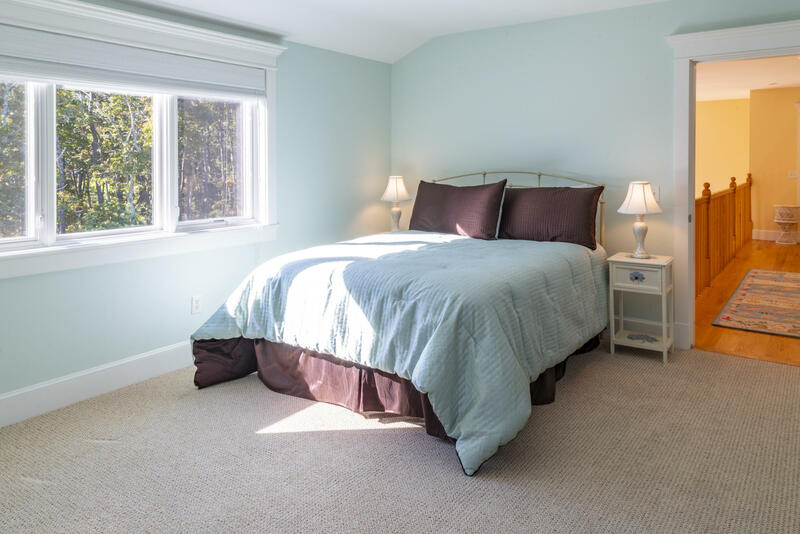 The home offers 3 levels of living with spacious well-proportioned rooms. 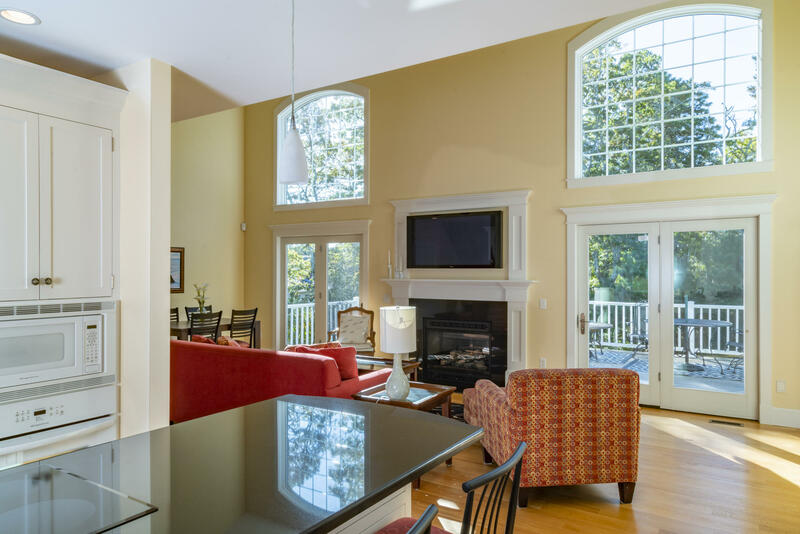 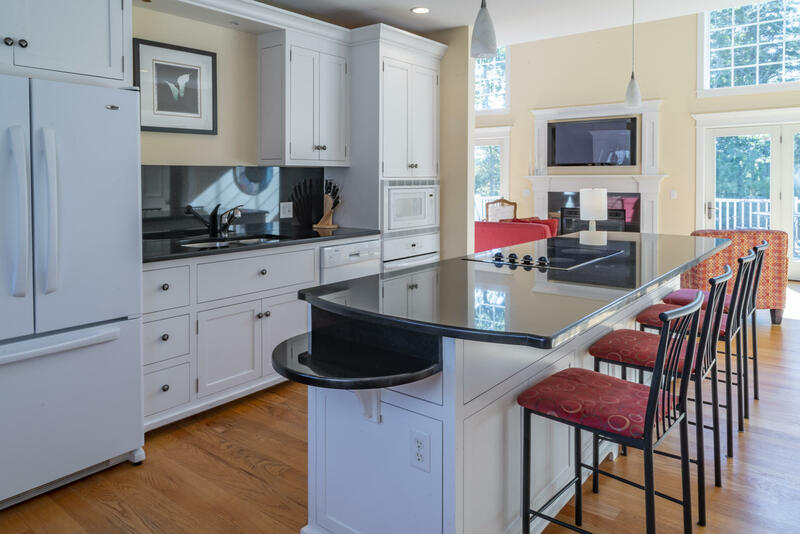 A kitchen with center island overlooks the family room which is centered by a gas fireplace and TV above. 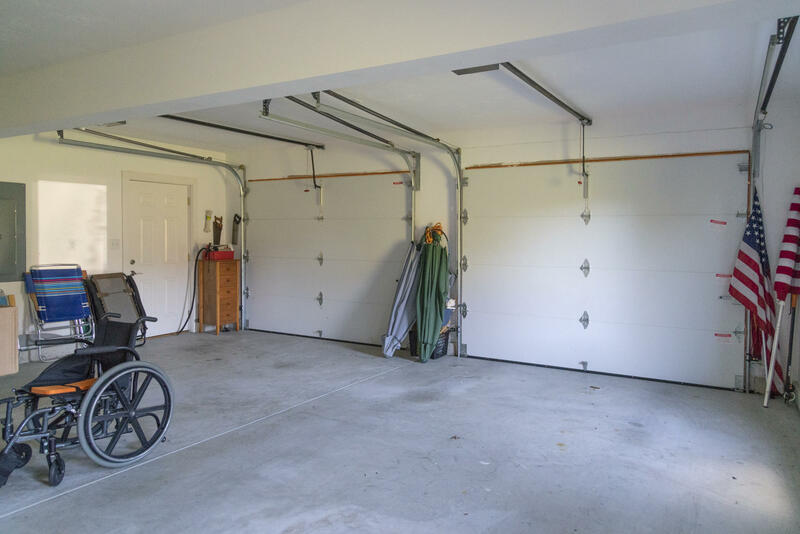 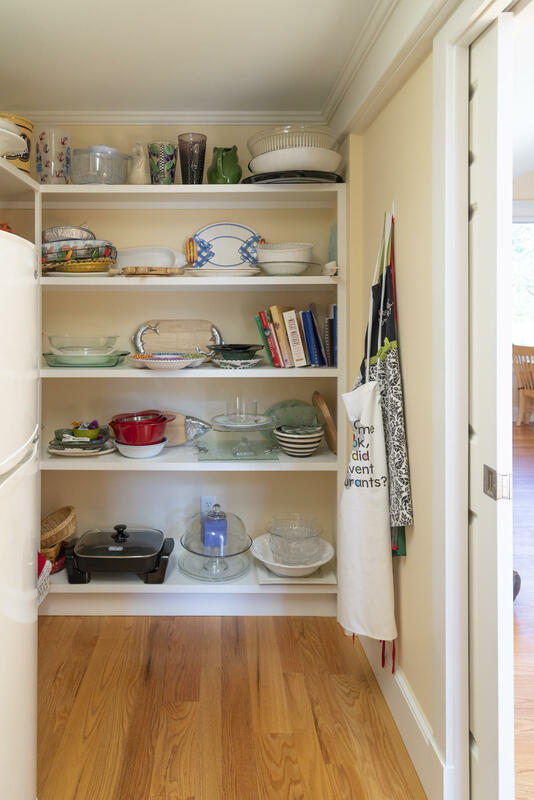 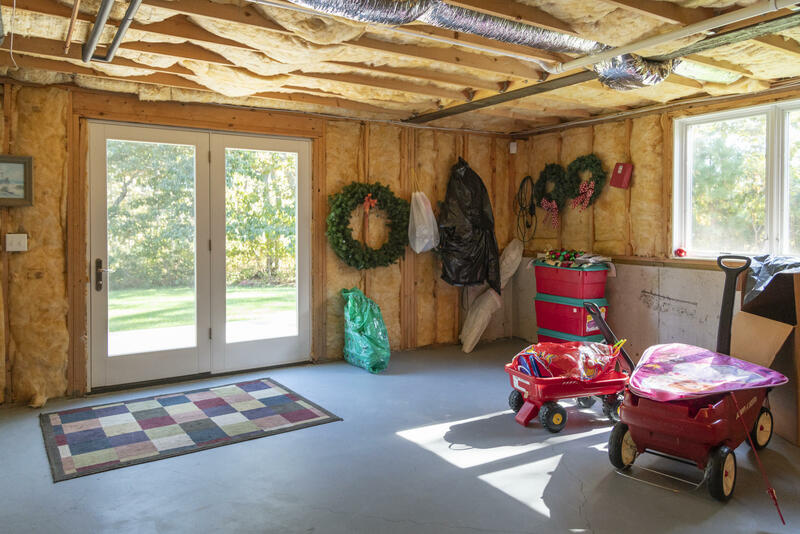 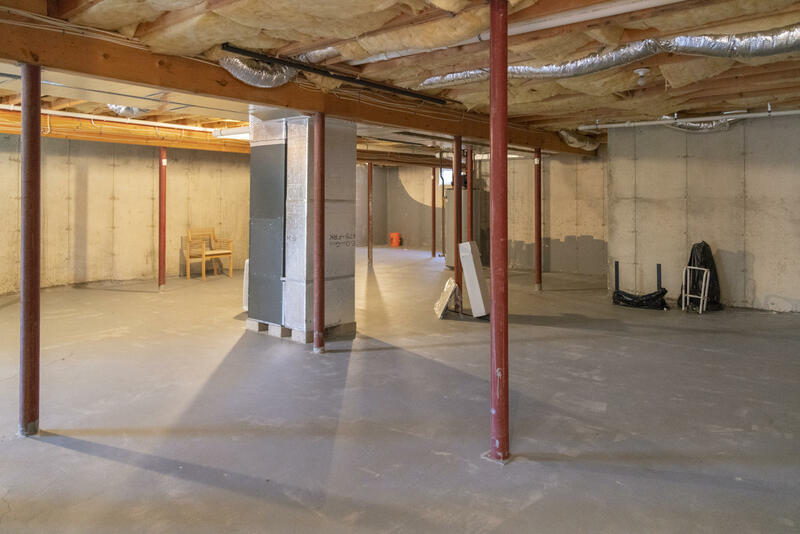 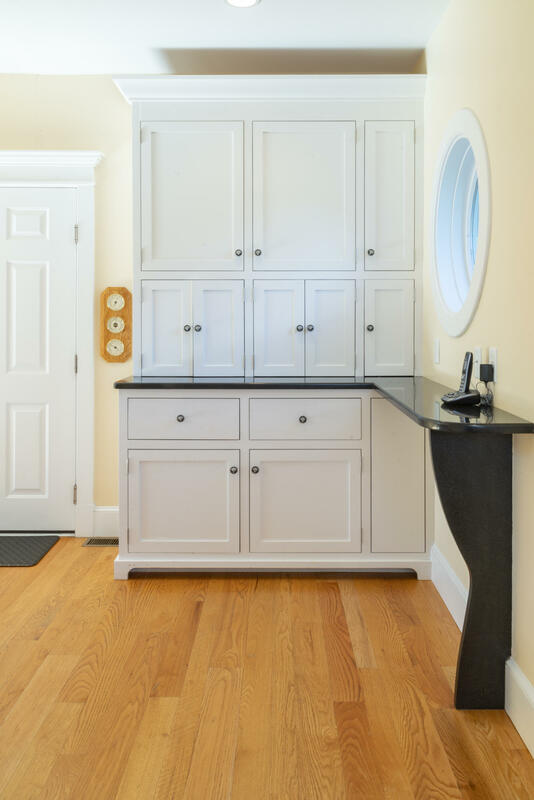 A nearby walk-in pantry, dining area, and private office round out the common area. 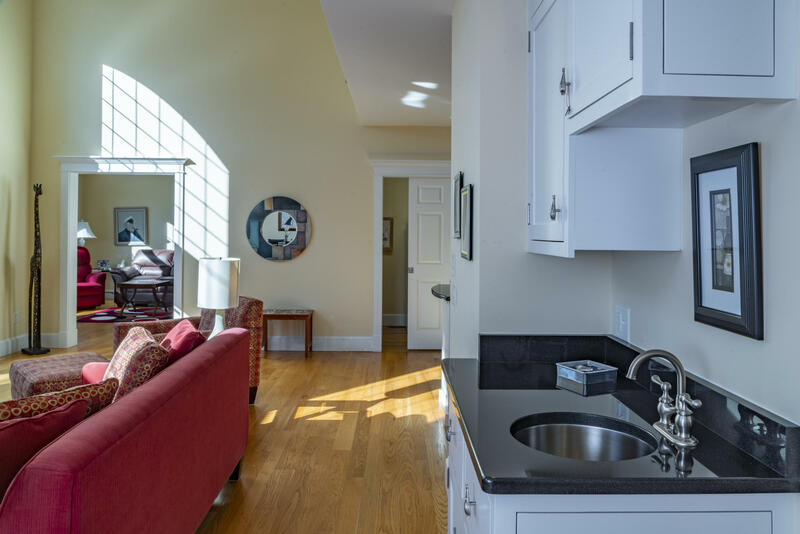 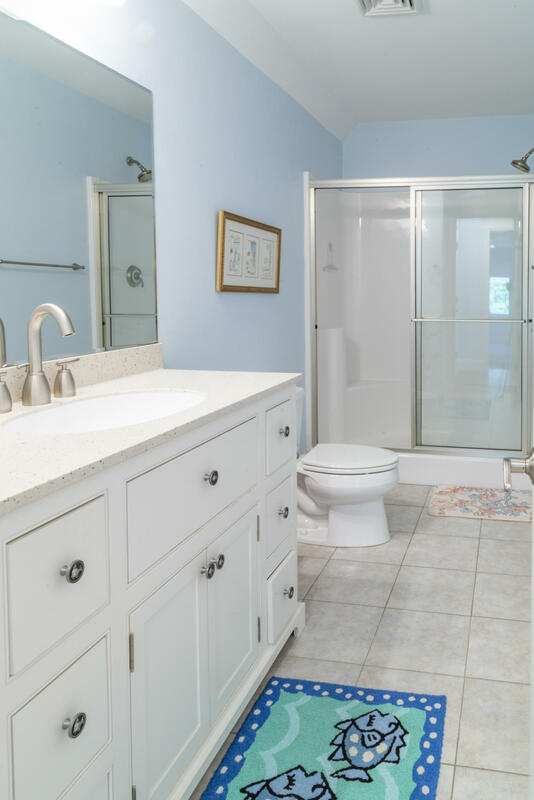 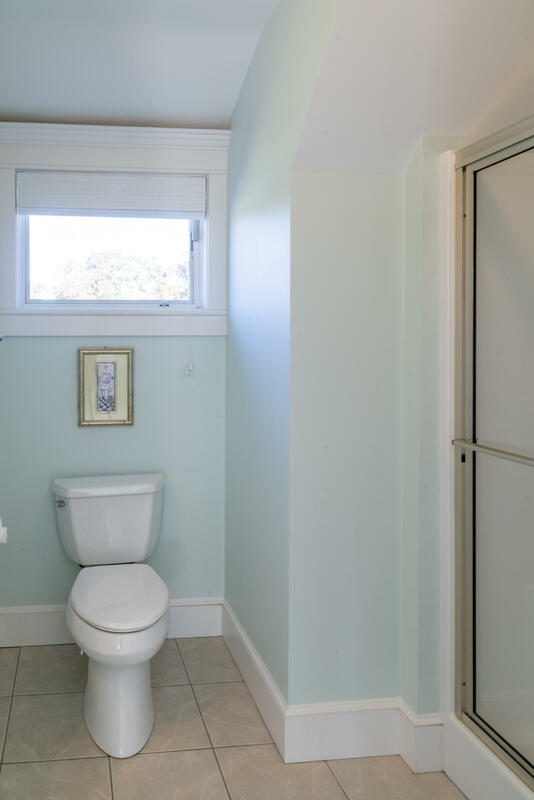 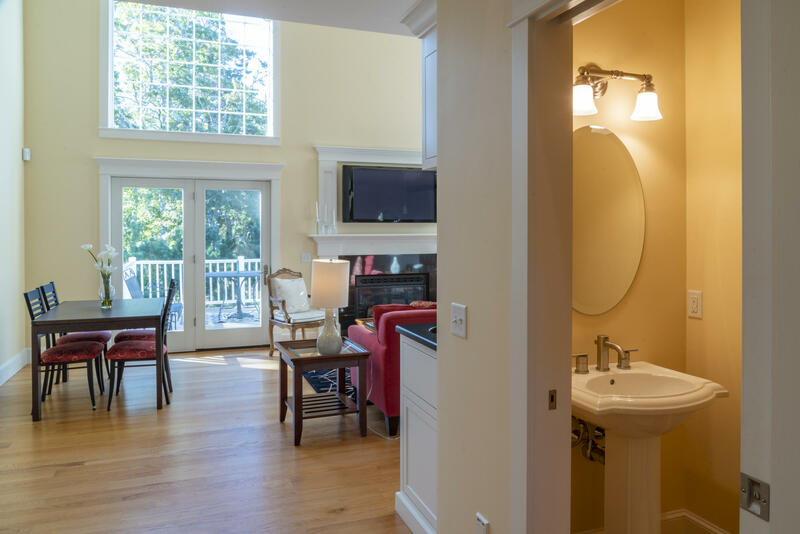 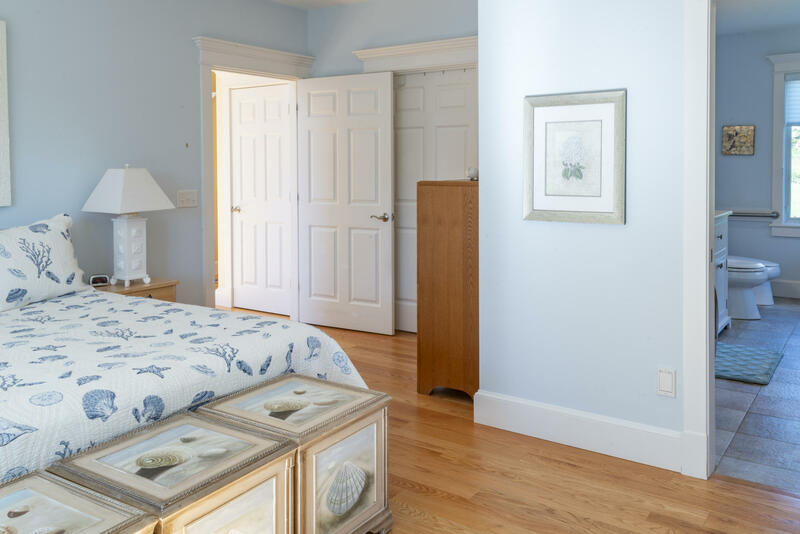 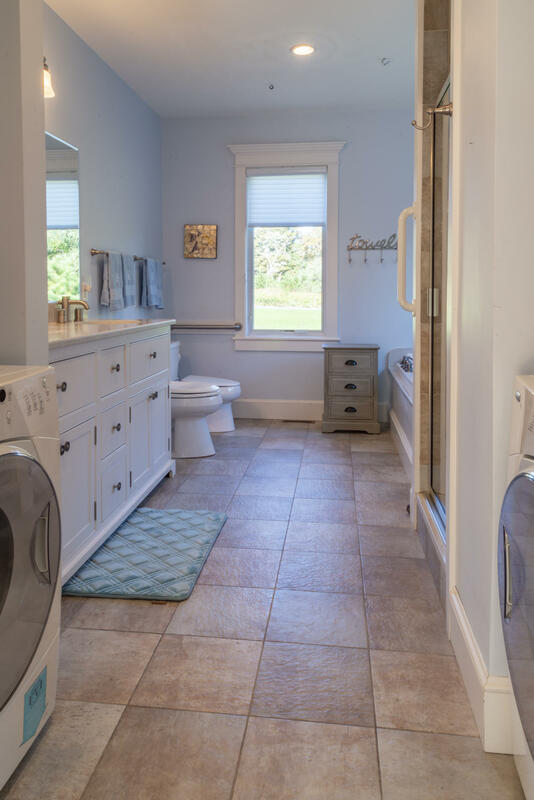 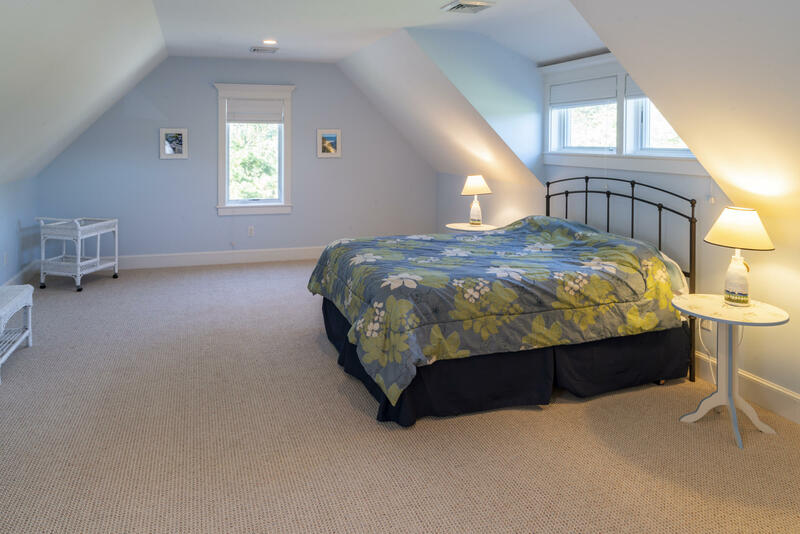 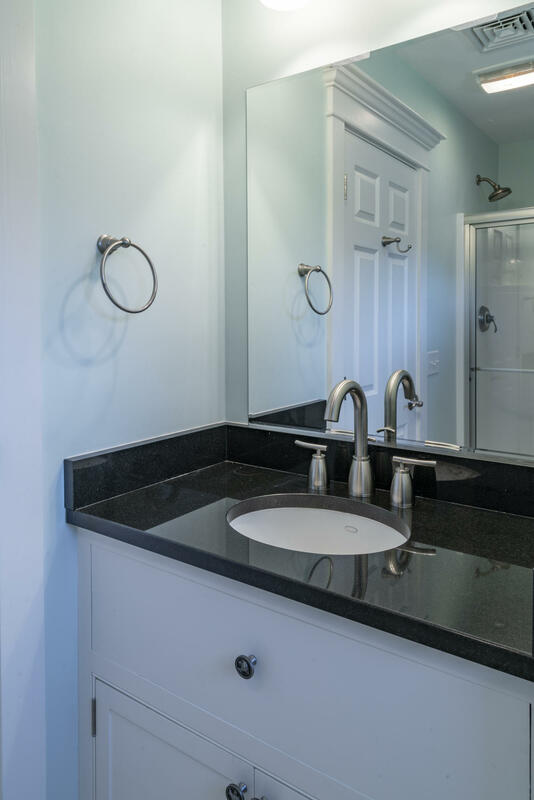 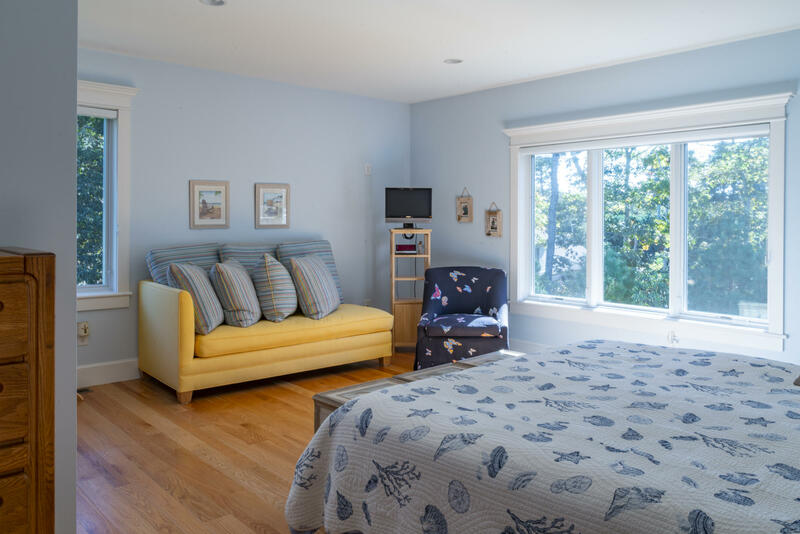 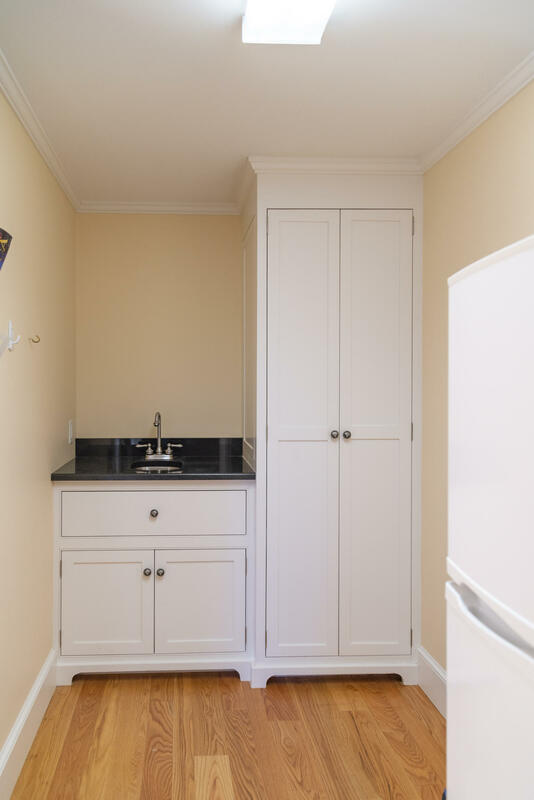 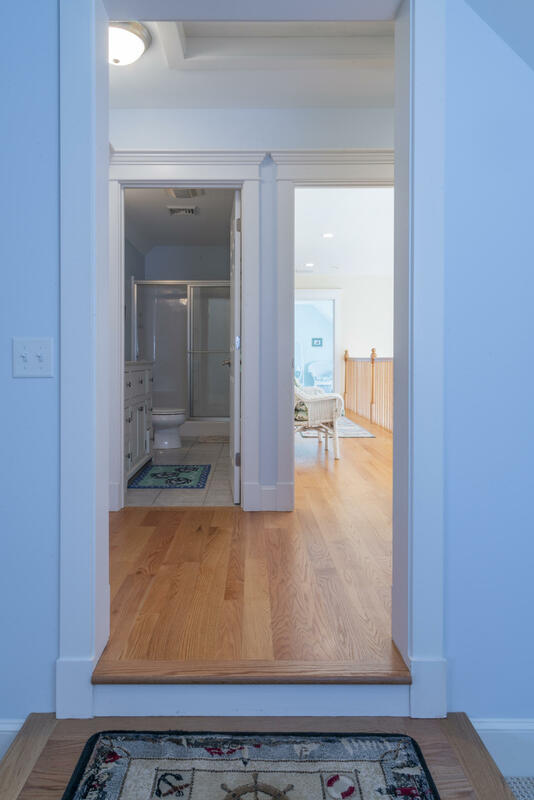 Additionally a large first floor master suite features a large private bath with laundry, whirlpool tub and double vanity, and the walk in closet provides plenty of storage.